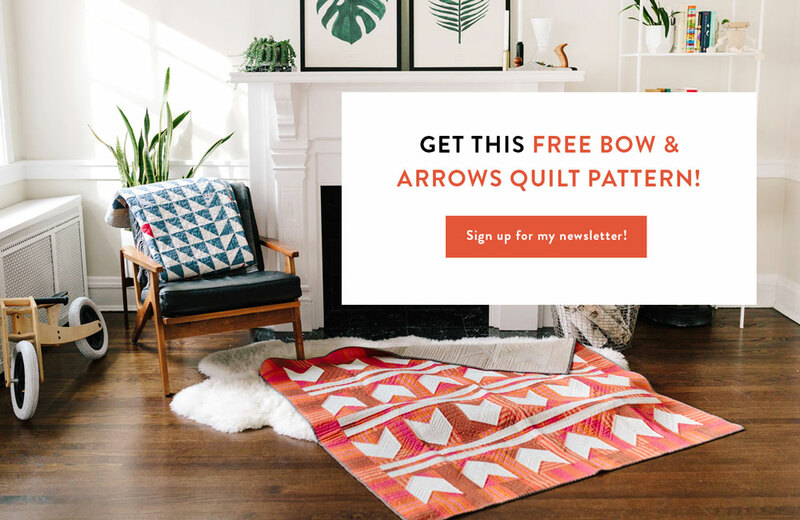 We’re getting intimate today, quilters. 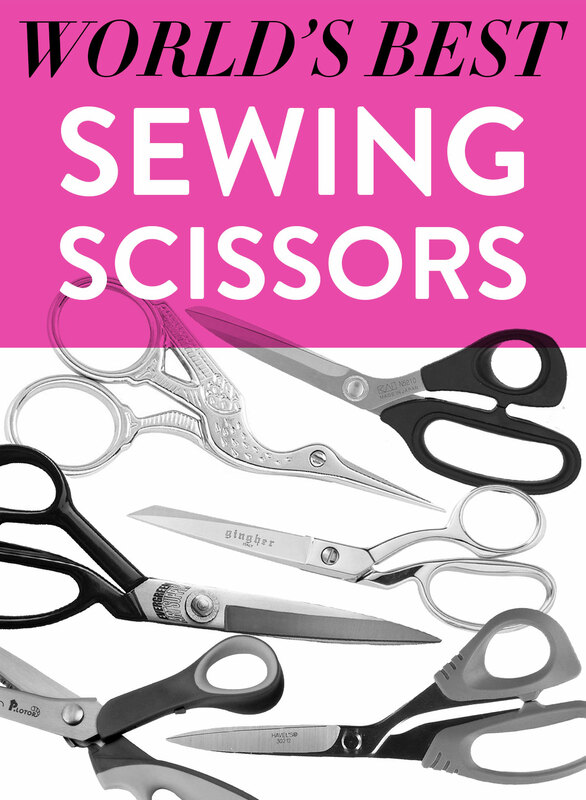 We’re going to talk about a very serious relationship: the one between you, and your sewing scissors. There’s nothing better than a pair of scissors that glide with you through thick and thin, and on the other hand, nothing worse than a pair that just won’t cut it. 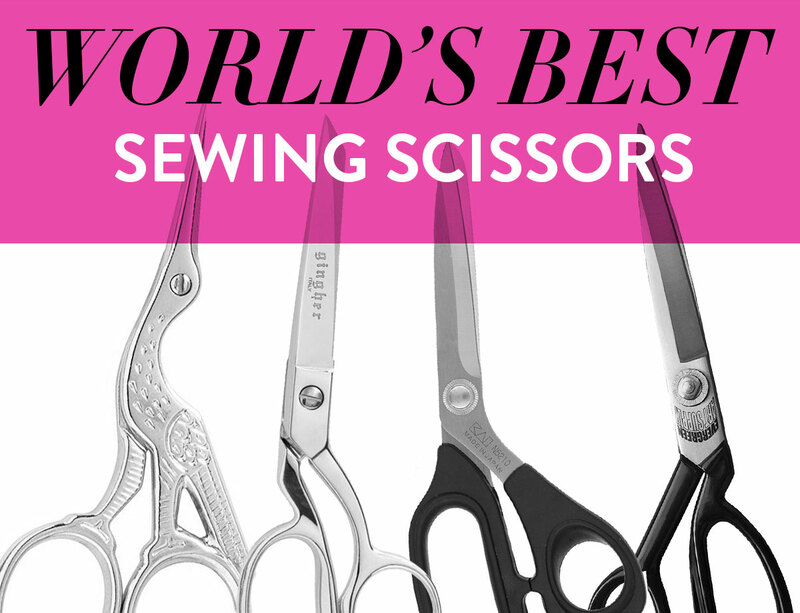 Here’s my guide to the best sewing scissors out there. Once you’re done reading, you’re going to want to get your hands all over these babies. You’re worth it. Listen. I know not everyone has a big budget out there, but I’m telling you, spend as much on a good pair of sewing scissors as that budget allows. With scissors, the more you pay, the higher quality you’re going to get. 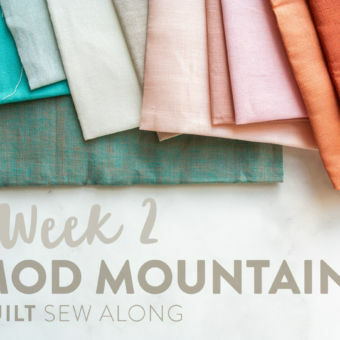 If you’re investing your valuable time and amazing skills in a sewing project, you shouldn’t have to struggle to cut through your materials. 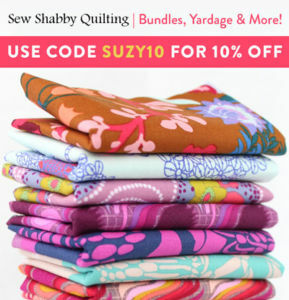 When we’re talking about fabric, shears are your main squeeze. They’re generally longer (7-inch blades or greater), and have one small handle for your thumb, with a longer handle for multiple fingers, giving you more control over your cut. 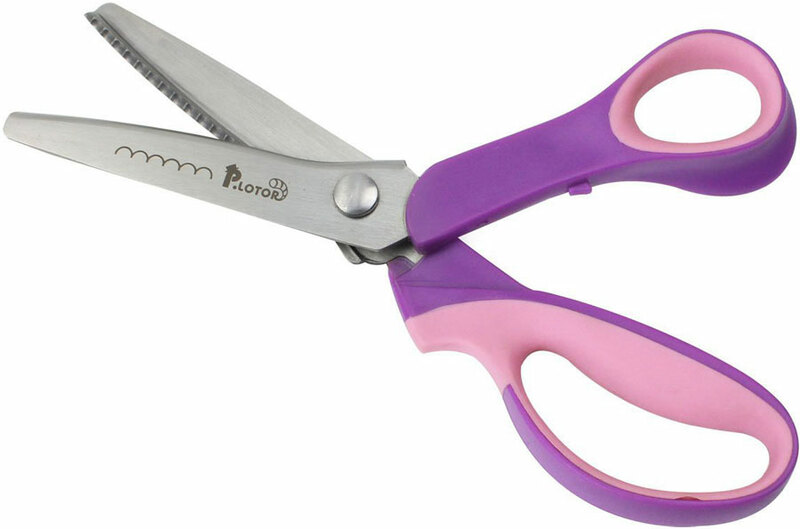 Notice the distinct angle of the handles on shears? 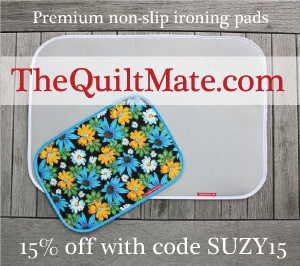 It makes it easier to cut fabric on a flat surface. 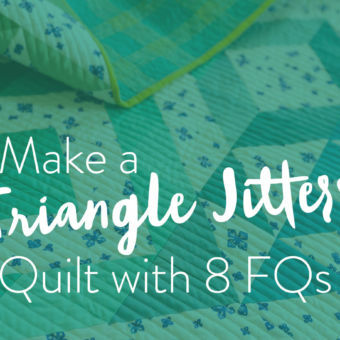 When it comes to quilting, shears have your back. Scissors are still really useful and important, but they’re more like the man on the side. Keep ‘em around, and use ‘em when they’re useful. Fiskars are the ultimate yes-men. They offer everything from really inexpensive models to high-end pairs with all the bells and whistles. 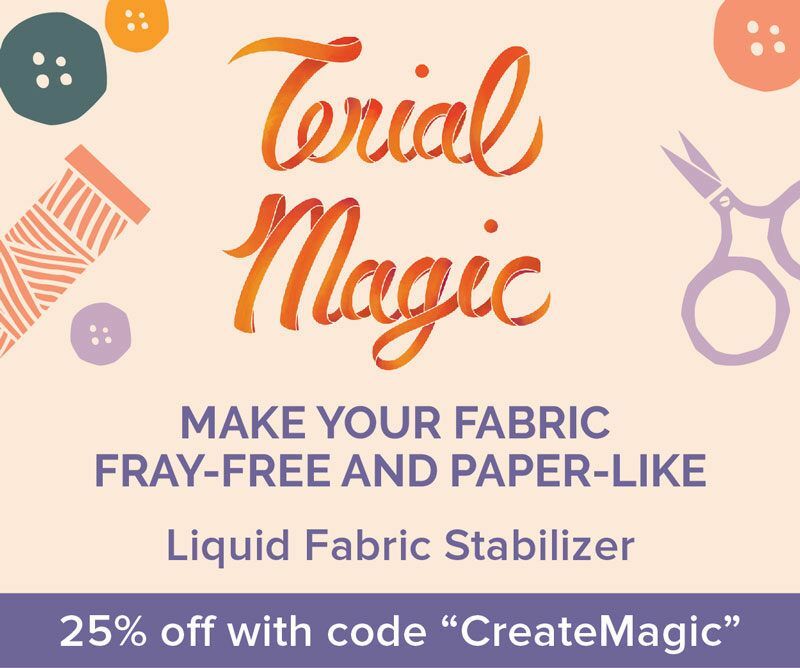 They also offer much more than just fabric scissors and shears, ready to supply all your scissor needs from embroidery to elementary school classrooms. 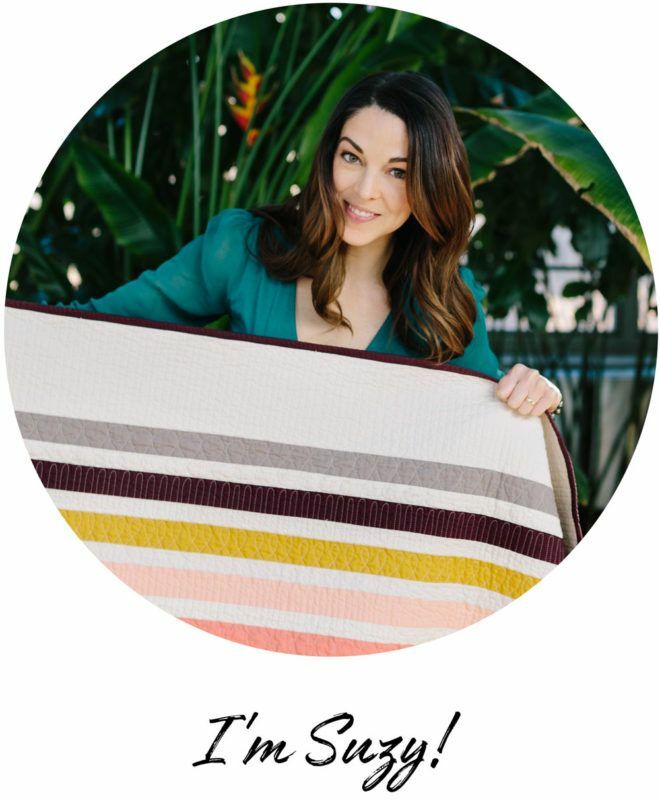 Because of this, you’re going to want to head toward the more expensive end of Fiskars’ models if you can afford them, because like I said, the range of cost is going to tell you the range of quality. For the most part, Gingher offers a much more limited range of models on the higher end, so they’re all quality, all the time. Gingher gives you less options, but that also means less crippling indecisiveness as you’re trying to figure out which pair to buy! Last but not least, complete your scissor clan with these little babies. 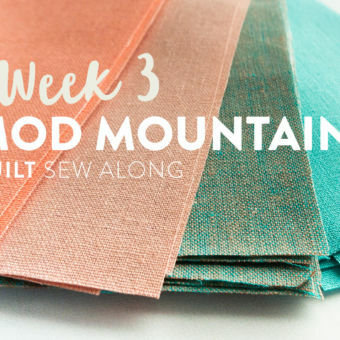 I use these so much, and lose them so much, that I have a pair attached to my sewing machine with a retractable cord – that way they never get lost, are always on hand, and won’t get tangled up in my latest sewing project. How many wins is that? At least three. 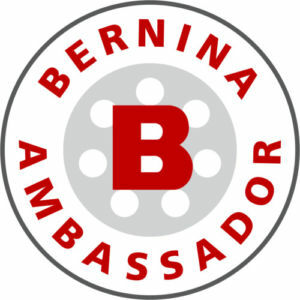 I got my retractable cord from Bernina, but something​ like this would definitely work! I know I sound like a bossy friend giving you SO MUCH advice on this whole scissor relationship business, but it’s only because I love you. I also trust that you’ll do what’s right for you. Just remember, everyone deserves to be with a pair of scissors who loves them back, AKA actually cuts well. You deserve it. I have to agree with you. The Gingher line are my absolute favorite. My biggest problem that I have is I have very small hands and fingers. Anything over 7 inches is too big for my hands, so cutting is difficult. I do have a really nice pair of Fuller Brush pinking shears, that I have had for years. I recently found a pair of pinking shears/scissors in an antique store and they are wonderful. You never know what you can find in thrift stores, and antique stores. Suzy, I really enjoyed this information. I belong to the “Silver Fox’ Club whose requirement for membership is that you should be over 55 years of age. I will never see the 60’s again so that must make me OLD (ha,ha). I have owned all of the brands but one at sometime during my life. I started with a pair of Wiss scissors in my 7th grade Home Ec. class that had black enamel handles. They lasted me a long time. I am now using Ginger except for my pinking scissors which are Friskers. 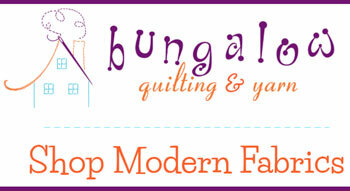 Have you ever done an article comparing sewing machines? I have sewn on a Singer treddle machine, a regular Singer and then I bought a Viking which lasted me about 47 years. A friend gave me her Pfaff which I am now using. Had I the money I would get another Viking, Happy Trails to You. I wrote an article about sewing machines last year. New models have emerged, but overall it’s still a good resource. Thanks for the comment! Do you sharpen your scissors yourself, or do you have a professional do it? I am extremely happy with My Wescott scissors with rubber inside the handles. They’re upwards of $20-30 at JoAnns, but scissors are one of the only things I’ll go to Walmart for to get a WAY better price. They’re more like $5-10 there. I’ve never had an issues with these scissors, I love them so much!!! 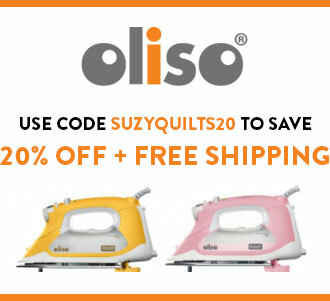 Hi Suzy, I wanted to let you know about Kretzer Scissors. We are manufactured in Solingen, Germany. We compete with the KAI scissor and in fact where I have put my scissor in an industrial environment against KAI we were told we hold an edge longer. 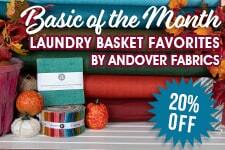 I’ll be glad to send a sample if you would like to take a look. How did these work out? they have medical sissors that I have heard of. not shears… interesting that they didn’t contact you though! I agree with your analysis, but I have to give Gingher the top spot because they make their shears true left handed. I used my mom’s growing up, and she then bought me my own pair as well as a left handed pinking shear. I love them. Thanks for the article! Now to go buy…. which one???? *G* I think I’ll go with the Gingher for shears…. and??? for pinking. I am sewing a wall hanging using Lynne Hagmeier’s techniques and pinked edges are important! I have a pair of singer shears that I’ve had since the sixties. They have only ever cut fabric and have only ever been sharpened once and that was about a year ago. Now the screw that holds the two pieces together doesn’t seem to want to hold. Any suggestions? 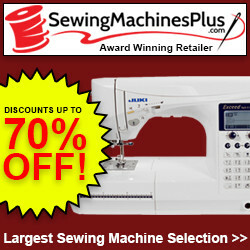 You could reach out to a sewing machine dealer to get in touch with their repair person. I bet a sewing machine repair specialist would be able to fix them. I use the same shears I bought for Home Economics when I was 13 years old. Don’t remember how much I paid for them, but I’m sure it wasn’t much since I paid for them myself with my babysitting money. This was 52 years ago. Never have needed to have them sharpened. They are Wiss. In the 80’s I bought the Ginghers and loved them. I was hooked. However, I lost them in a move about 8 years ago and when I replaced them with a new pair of Gingher’s I was deeply disappointed. They cut horribly because they would not make a complete run without catching the fabric and hanging up. Through a forum discussion on Facebook, I was encouraged to contact the company. When I did, they sent me a new pair free. Unfortunately, the new pair have the same exact problem that the other pair had. Recently at a friends home for a sewing date, I got a handle on her Fuller Brush sewing shears and I could see exactly what the problem is with mine. 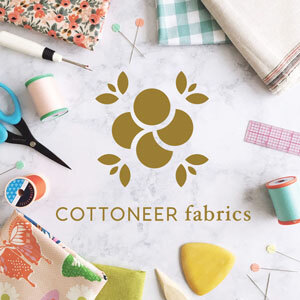 Hers are exactly like my first pair of Gingher’s: glide through fabric like butter and the blades are perfectly balance and glide past one an other like silk. Both of my new have the blades flopping around as if the nut and bolt holding them together is loose but it is not. The blades are unbalanced. I live in a very rural place where there are no sewing shops, and no knife/blade shops where I could even have my scissors looked at. I bought a fiskars with the mindset that it’s an inferior scissors but they are not – they cut and do the job they are supposed to. I think Gingher has become an inconsistent brand that does not produce the quality product they once were known for.